Being a mum of two boys means life can be hectic at times. I’m always busy making sure everyone else is feed and watered that I quite often forget about myself. There never seems to be enough time to fit everything in! These brownie bites are perfect to have ready to grab in those moments or even when you just fancy something sweet or chocolatey! They are simple to make with only 6 ingredients. Maca is known for it’s benefits in balancing hormones. When we live in a constant state of fight or flight where we’re always busy rushing around we produce the stress hormone cortisol. This can interfere with our immune system, memory function, bone density and cause weight gain. 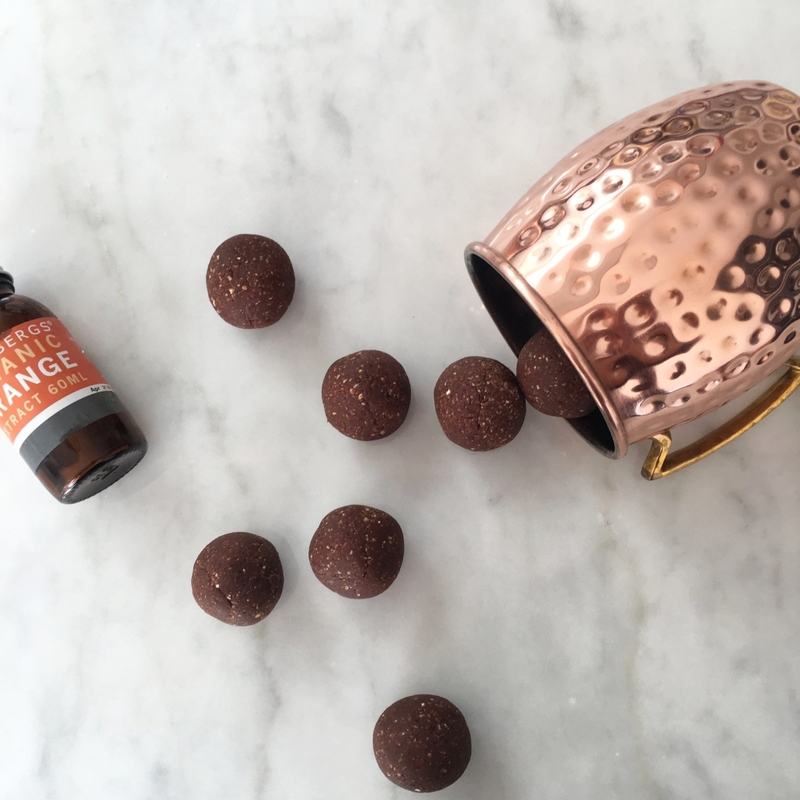 So it only seems natural to add this to these grab and go balls of deliciousness! Place the oats, cocoa and maca into a food processor and blend together until you have a flour. Add the orange extract, dates and water and continue to blend until the mixture comes together forming a ball. This can take a few minutes. Take about a tablespoon of mixture and roll into a ball. Continue this process until you have 12 balls. Place balls in an air-tight container and try not to eat them all in one go!